The breeders of Chats Canada Cats (CCC) believe the time has come, in Canada, to break the cycle of the clandestine victimization of breeders in this country. In North America, no association existed to defend the Canadian cat breeders in the political arena until the creation of the CCC. As a result of this, an almost violent cycle has taken place in feline breeding in this country. Cat breeders are often misunderstood by their municipality, their province and the government of Canada. They are often subject to laws and regulations created for dogs. Unfortunately, cat breeders tend to shy away from their lawful rights. Cat breeders are often afraid that by coming forth, they could be become the target of this system and face judgment and a lack of comprehension. The time has come to break this clandestine cycle because: the more we hide, the more it appears that we have something to hide. If we are not transparent as cat breeders, the organizations that have been developed for the protection of animals will surely continue to make it difficult for us. In that sense, we could be the creators of our own misfortune. In order for cat breeders to be affirmative, the problems that currently exist in feline breeding must be addressed: overpopulation of domestic cats (shelters are full), the reduction of the quality of cats in this country since the development of the internet, an increase in the dissatisfaction of cat buyers (there has been a huge increase in the number of complaints regarding cats in the small claims court in all the provinces) and increased pressure on the different divisions of the government for better structure in breeding practices. For the majority of cat breeders, breeding cats is simply a hobby, one that is non-lucrative. In order to address the various concerns regarding cat breeding, there are several means available that we can use. The animal pedigree act of Canada addresses a lot of the provincial and municipal concerns regarding cat overpopulation, the quality of cats bred, and the beginning of auto-regulation amongst cat breeders themselves. It would be in the best interest of cat breeders to do it themselves. Many times the ones responsible for enforcing the laws lack the knowledge and experience that cat breeders have. Times are changing regardless of whether we want it or not. Consider taking part in these changes. Join us with this movement! Q - How does Chats Canada Cats differ from American feline associations? A - Americans don't have the same legislative regime as Canadians do. Consequently, the American associations don't have to obey to Canadian laws. In fact, they don't legally protect Canadians that want to join one of their associations. In addition, in the United States, there is no law that resembles the animal pedigree act. This results in the registration of cats as being solely a market with the different associations fighting to obtain parts of this market. Anything that affects the increase in the number of registrations per annum is detrimental to the survival of these associations. Certain associations will strive to be the first to register a new breed without first acknowledging whether or not this new breed is even viable. Also, little is done by these associations when genetic problems arise and are identified within a certain line and even allow the breeders to continue to reproduce them. When the times comes to defend Canadian breeders, these associations are absent from debates at all levels. American associations also refuse to provide their services in the two Canadian official languages. Q - How does Chats Canada Cats differ from other Canadian feline associations? A - Chats Canada Cats is the first Canadian feline association that seeks to officially operate under theanimal pedigree act. 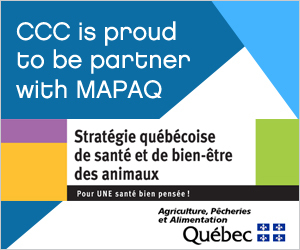 The CCC refuses to compete with the American associations for the registration of animals as are other Canadian associations. According to the CCC, the Law is the only way to insure the increase in the quality of purebred cats produced in Canada, to protect Canadian breeders and the recognized breeds as well as the public. The ability to trace animals nationally will also address the problem of feline overpopulation. 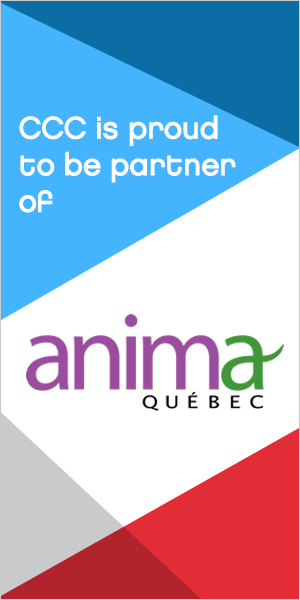 As previously recommended by the Canadian Veterinary Medical Association and the Veterinary Medical Association of Québec, three (3) provinces plan to implement the implantation of a micro-chip mandatory for all cats sold on their territory. It is only normal for cat breeders to follow the example of dog breeders and start building a bank on the origins of cats with respect to their traceability which will in turn ensure its efficacy and uniformity. The CCC is the only Feline Canadian Association that defends the rights of Canadian cat breeders. In addition, its administrative structure confers a grand impartiality protecting the public and the members. The CCC also consists of an ethical committee completely independent of the administrative committee rendering it more equitable. The CCC wishes to provide cat breeders with more information regarding administrative issues as well as issues related to the reproductive cycle of cats. Several accredited educational seminars will be offered by known associations based on their expertise. Q - Is Chats Canada Cats a legal enterprise? A - Chats Canada Cats is an enterprise under the Canada not-for-profit corporations act. The CCC is an organization where all the profits are destined to be re-invested in the CCC in order to provide its members with services.